In the summer of 2017, AMETEK Specialty Metal Products in Eighty Four held its first Open House in nearly 20 years. The event was a big success, and with some 20 new employees having joined the company in the past year, it was decided to hold a second event in 2018. Some 300 people, including employees, their families and neighbours, retirees and other members of the local community turned out on May 12th. Everyone thoroughly enjoyed the day. The emphasis of the Open Event was to show how a local business produces industry-leading specialty metals that are shipped all over the globe. Employees were given the opportunity to present their world-class craftsmanship. Several family members commented on how impressed they were, both with the facility and with the complexity and the challenges of the work undertaken. Many children were particularly excited to see a robot moving metal plates and the giant press stamping out metal shapes! To mark the day, every family was given a custom-made, best-in-class cookie sheet made with AMETEK SMP Eighty Four roll bonded metals. In addition to the conducted tours of the plant, guests also enjoyed seeing a working fire truck brought along by the North Strabane Township Fire Department. Throughout the day, there were food trucks serving free snacks, a range of other vendors with their stalls, face painting for the children, and fishing. Plus, there was free music to accompany the whole event. In the words of Mark Vergallito, Director of Operations, "To me personally, this event was a tremendous opportunity for our employees to proudly show their families first-hand what they really do at work. 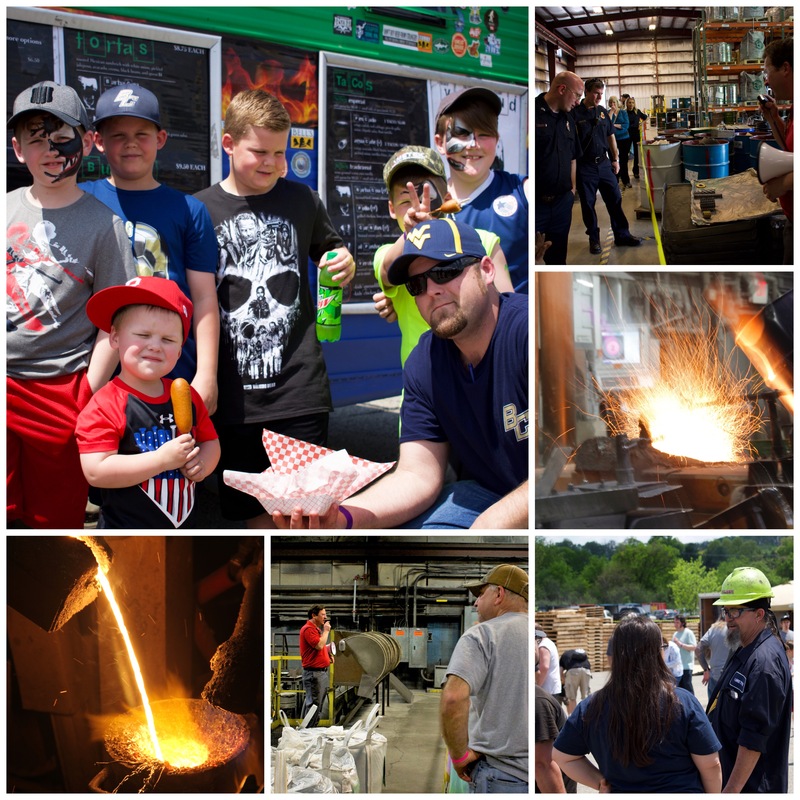 It was an exciting day where we took pause to spend time with our families and friends, enjoy food and fun, and provide a glimpse into a unique industrial wonderland." AMETEK SMP Eighty Four, named after its location in Pennsylvania, is a global leader in the design, development and production of Water Atomized Powders and roll-bonded Clad Metal products. Recognized as a premier manufacturer where ultimate quality is critical, the company’s specialty metal products are manufactured in accordance with the strictest quality standards and used for a variety of applications in different industries, including automotive, energy, oil & gas and kitchen equipment.